Hillcrest has gone undefeated this summer.. Sometimes Hillcrest’s Maurice Acker sits in his bed and dreams about what it would be like to be taller. Maybe 6’8” or 6’5”. Heck, he’d settle for 6’0”. But those dreams come to a screeching halt when he rolls out of bed and uncoils his frame which stretches out to a generous 5’9” and 140 pounds. "Man, if I was 6'5" I'd be the top guard in the country." “Man, if I was 6’5” I’d be the top guard in the country,” said Acker, who has a serene approach on the court, but is described as outgoing and social off it. Acker has already surpassed his parents, with a 5’4” mom and a 5’7” dad. But, when he thinks about it, being small has its advantages too. While on the court, he can remember only a handful of players he’s went against who were shorter than him. Acker admits he has had difficulty matching up with those players, and now he just tries to use his size – of lack thereof – to pester bigger opponents. Coming into games -- for those who don’t already know of him and his capabilities on the court -- being smaller also makes Acker the underdog. Lil’ Reese, as he’s nicknamed, began athletically on the football field -- as a running back -- in a sport where height isn’t always looked at as the focal point. 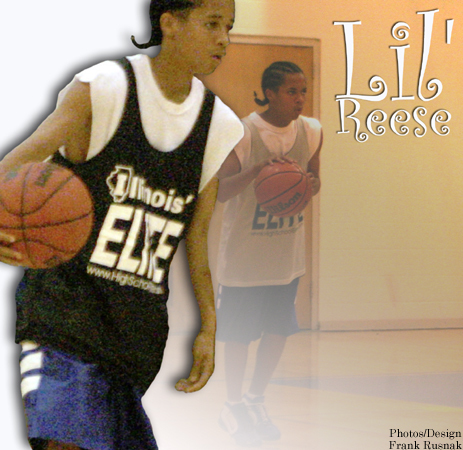 He started high school at Chicago Mt. Carmel. Acker eventually began to focus his attention on basketball because football practice began at 5 p.m. and it wouldn’t allow him to get to his south-suburban home until late at night. “Their practice used to be late and I wouldn’t have enough time to do my homework,” said Acker, who has a 3.7 G.P.A. on a 5.0 scale. At Mt. Carmel, he zeroed in on his dreams for basketball – with practices that began right after school -- as the starting point guard on the sophomore team. He says now, if it weren’t for the late football practices he thinks he’d still be playing both sports. When he transferred to Hillcrest for his sophomore year, he reunited with McNeal, a good friend since the sixth grade. Acker began the season as the team’s sixth man on varsity, but helped the Hawks finish with a 27-2 mark as a starter to end the year. His junior season, with him and McNeal the focal points of the offense, Hillcrest ended with a 25-4 mark. Acker averaged 18 points and six assists. Now, with the main nucleus of the team back for another run, Acker sees the Hawks atop the preseason leader board and hopes they will be the last team standing at the end. “I won a national championship so I’m trying to win a state championship now,” said Acker, of his 2003 AAU National Title he and McNeal won with MeanStreets. However, before the season starts, Acker has business to take care of. A highly sought-after Division I prospect, he wants to decide where he will go to college before the high school season begins. Acker is being looked at by Ball State, Loyola, Northern Illinois, Illinois State and Southwest Missouri State, while McNeal picked Marquette at the beginning of the month over Purdue, Dayton and Miami-Florida. As much as McNeal enjoys playing with his little buddy, it disappoints him they won’t be playing together again next year. While still early, Acker has made his teammates look awfully good leading Hillcrest to an undefeated summer and a couple tournament titles with the Hawks. With wins against the likes of such teams as Julian, Thornton and Homewood-Flossmoor, Hillcrest’s tallest starter stands 6’2”. But if anyone knows height doesn’t always matter it’s the point of Hillcrest’s attack. Dreaming aside, he’s shown he’s more than capable.